I’ve known this for a while. He’s not quiet about it. When Greenville Public Library first launched the Fourth & Sycamore literary journal in October 2014 and it still looked dangerously like a blog (I was doing most of the writing myself as the editor until I could get more writers on board and get a submissions process rolling), our sidebar displayed several quotes by the venerable British author testifying to his love for public libraries and librarians. That we librarians tend to love Neil Gaiman too, even aside from his advocacy on our behalf, doesn’t hurt the relationship at all. 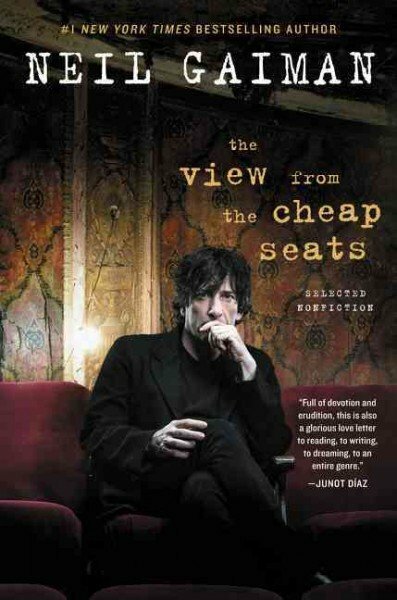 I sat down late one evening recently to begin reading Gaiman’s latest book, a collection of essays and other nonfiction pieces titled The View from the Cheap Seats, and was pleased to discover the very first essay was about his love for libraries. It is titled “Why Our Future Depends on Libraries, Reading and Daydreaming: The Reading Agency Lecture, 2013,” and is the text of a speech Gaiman gave for the Reading Agency, a “charity with a mission to help people become more confident readers.” The essay recounts the important role libraries played in Gaiman’s own development as a young person, and explains how critical it is for a healthy society that its children (and adults) have free, uninhibited access to books. My own love for libraries began when my family moved to Florida when I was seven. I’m sure we went to our town’s public library in Indiana, but I have no memory of it. My first memory of a public library was when we went to St. Lucie County Library in Port St. Lucie, Florida, for the first time. I was skeptical when told I was actually allowed to take all those dinosaur books home. We never had much money when I was growing up, and the idea of being allowed to bring a stack of glossy books home to read for free was earth-shattering. After we left the library, we went to a local fast-food restaurant. A mile away, across a thin inlet of water, the cooling towers of a nuclear power plant emerged from the palm trees like a space station on another planet. I ordered a “suicide”–all the different soda pops mixed together. I only remember all of this because of the library and the books; almost three decades later, it still seems magical to me you get to take them home for free. We moved to Ohio a year later, to the town I have lived in ever since, the town whose library supports this publication. I was still checking out a lot of dinosaur books. 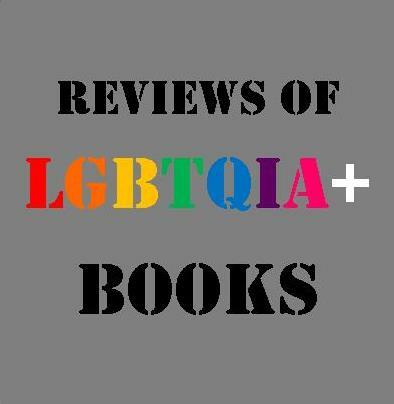 I almost got swept away in a flash flood that first year in Ohio, so any books about floods, from either the children’s or adult sections, got checked out a lot as well as I unknowingly performed a sort of post-traumatic self-therapy. I won a contest one year and was given a black t-shirt with a mastodon skeleton on the front, a shirt I would still wear today if not for the half-meter of height I’ve gained since then. In high school, I worked through the library’s collection of Ray Bradbury short story collections (an author who also receives a lot of attention in Gaiman’s book) and the poetry shelves, the latter of which were tucked back in a claustrophobic corner at the time. I read a lot of books growing up. I got many from auctions, book stores, garage sales, and resale shops. I also got a lot from libraries. Not all of them were very good. Many were trash, and I knew it at the time. It didn’t matter. 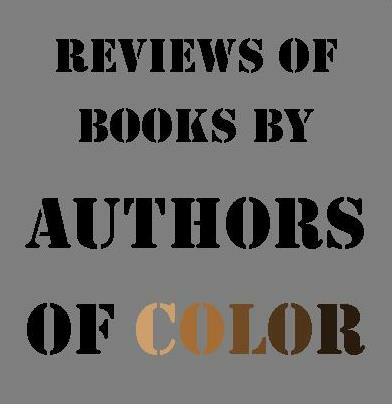 What mattered is that I had access to them and that my reading of them was encouraged as intrinsically worthwhile. Gaiman makes the point in his lecture that which books kids are reading is largely irrelevant. “I don’t think there’s such a thing as a bad book for children,” he says at one point. Kids’ books, adult books, picture books, comics books, graphic novels, joke books, nature books, poetry books…I read every kind as a kid. Garfield and Peanuts comics had more to do with my growing literacy as an early reader, and Calvin & Hobbes more to do with my growing vocabulary as a grade schooler, than anything “important” I could have been reading instead. Those were important. They were a retreat, and I devoured them, almost as much as I devoured pulpy short horror stories when I hit fifth grade. All of it mattered. And all of it was available. Things might have turned out differently for me had it not been. When I interviewed for my job at the library two years ago, the director asked me what I thought the role of a library was in a small town like Greenville. I said I thought it had two main roles. The first is to serve as the town’s intellectual conscience, to refuse the town its insulated, parochial views and force it to see there has been a long history of diverse human thoughts and efforts, and there is a world out there in which people live and think in lots of different ways. The second is to serve as a community center, a place where people can have access to computers and the internet, apply for jobs, learn skills, and get out of the heat in the summer or bring the kids in the winter when everyone is sick of being stuck in the house, to be a place where everyone is welcome and everything is free. He liked the answer, apparently. I got the job. This lit journal, which we launched two months later, is, more than anything, an effort to better achieve the first of those goals above. I like to think Neil Gaiman would be proud of what we’re doing here. If you haven’t read anything by Neil, you should. 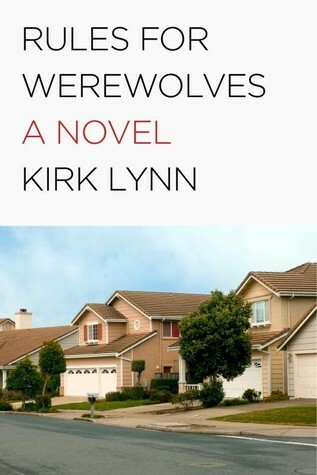 He writes almost as diversely as he suggests people read. He’s written graphic novels, fairy tales, horror stories, essays, short stories, novels, children’s books. We have a fair number of them here, and we’ll get more if we need to. And he loves librarians. That never gets old to me. He’s like the effortlessly cool kid who inexplicably hangs out with the nerds and the awkward kids in the lunchroom and never acts like a martyr or a missionary because of it. He just actually likes them. Well, we like him too. Thanks, Neil. The View from the Cheap Seats is available now at GPL. I use my local libraries all the time, in fact, am going there later on today to pick up some books on hold. I especially use them for too expensive textbooks that my professors always seem to want me to buy! Why buy when I can get them from the library for free?? Too many people forget what a treasure trove of knowledge and entertainment they hold!